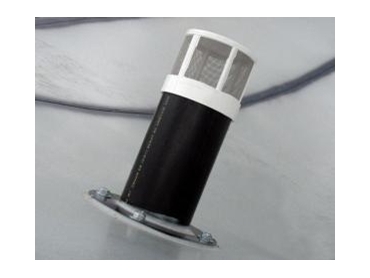 Fitted to the underside or coned based silos or the ground level of straight sided silos, air intake vents (AIV) will work well with silo ventilation systems driven by wind ventilators. The new AIV-BB model from Silo Ventilation Systems features a heavy duty construction with seamless fittings to increase the amount of phosphine tables that can be added. Having an air intake vent will also mean that fewer units are required for larger silos. Together with the silo vent, both the units will draw air from the bottom of the silo and after being moved through, will then be exhausted out of the top. This action helps to reduce any build up of heat, humidity and condensation in the stored commodities inside the silos. The number of AIV’s required will totally depend on the silos storage capacity with any silo’s over 50 tonnes requiring multiple AIV’s.